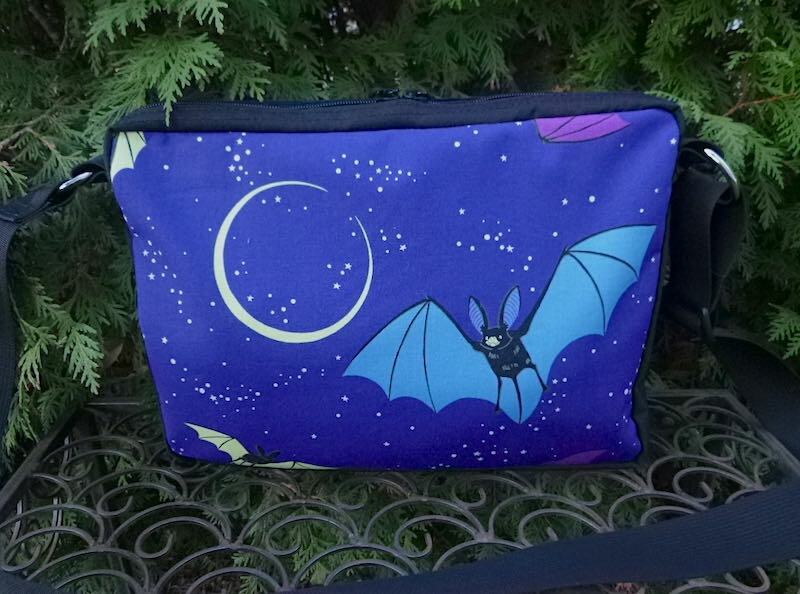 I designed the Honeysuckle to provide my customers with a simple tote bag that has a zippered closure. I also make the Honeysuckle in a medium and large. 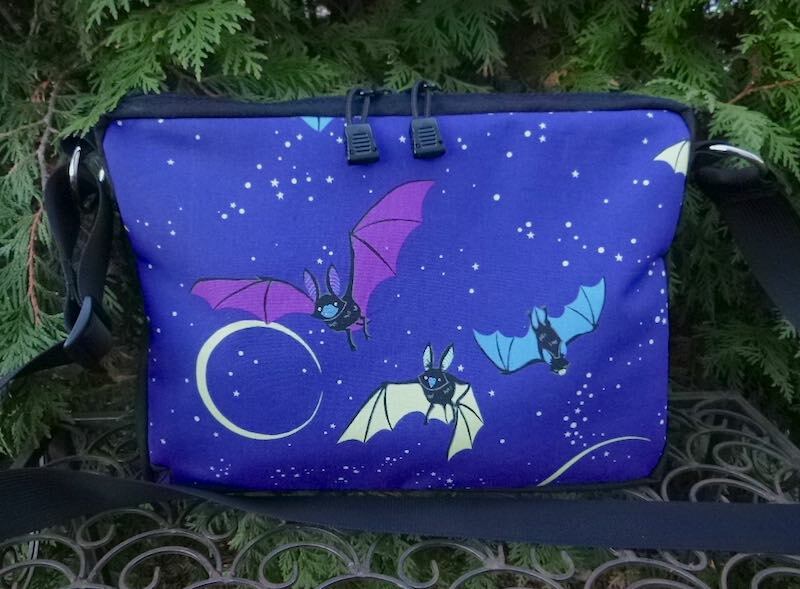 This zippered tote bag features a wonderful fabric with bats and moons. wide: 12" tall: 9" deep: 2"
Quite a few design options with this bag should you want to place a custom order. You can order it taller than wide, or wider than tall, add a Zoe Pocket Set, a key clip, or an exterior zippered pocket.